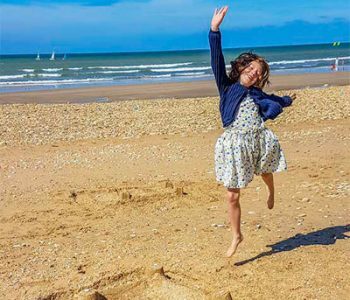 So jump on in and have fun, whatever the weather on the Ile-de-Ré. And if you get cold easily, you can still enjoy the water both in high and low season, in any weather. 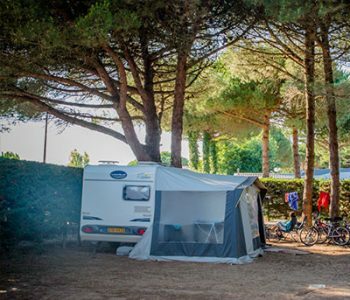 The heated indoor pool at our Ile-de-Ré campsite will become the place you relax and refuel with your family, partner or friends after touring the area and riding your bike. 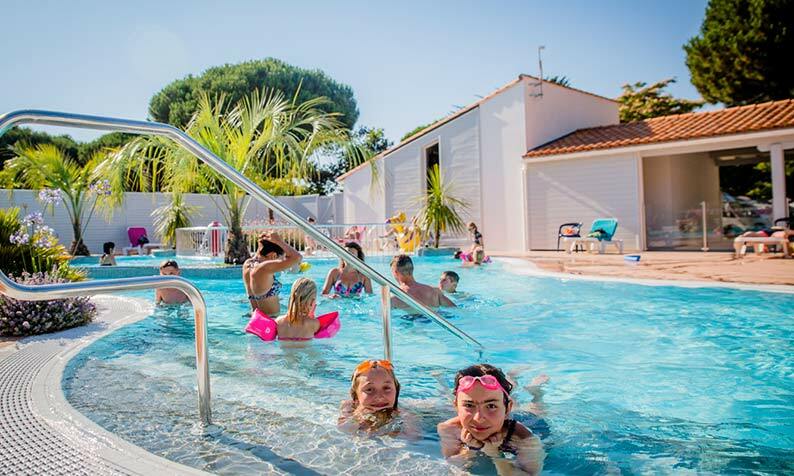 The outdoor pool is heated to 28°C from June 15 to September 15, but the sun loungers on the pool deck are available as soon as the campsite opens. 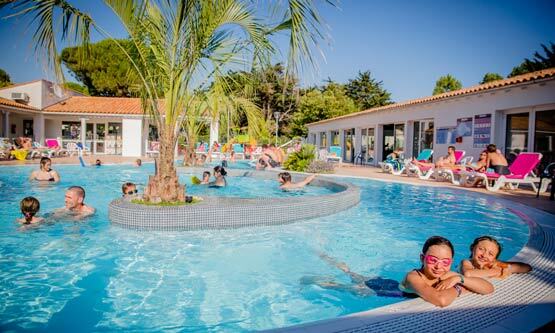 If you love swimming, you will enjoy our outdoor heated pool on the Ile-de-Ré. 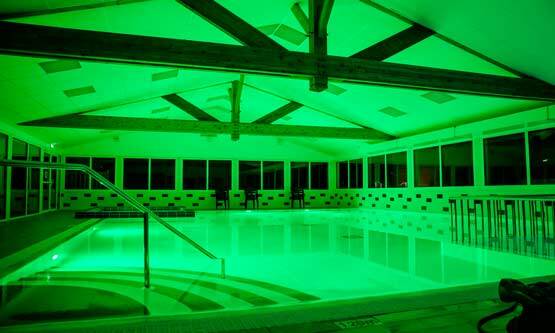 After swimming a few laps, lay out your towel on one of our sun loungers and bask in the sun in our relaxing solarium. Do you like to work out? 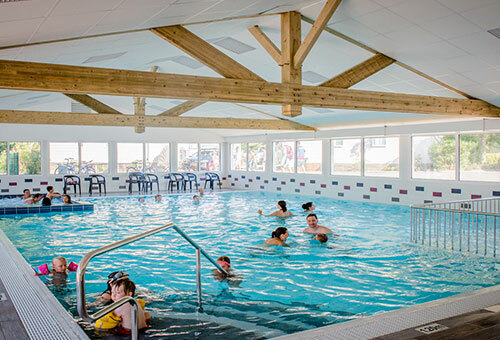 Come sweat while having fun at one of our Aquagym lessons during all of the season, a great way to combine well-being and an athletic vacation. 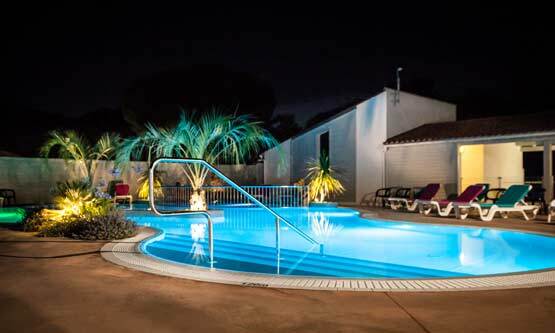 After walking along the sandy beaches, touring the island by bike, or visiting the villages and markets, come relax in our jacuzzi in the indoor heated pool. The joys of swimming can be discovered at any age. In our pool area, do not leave your children unattended. 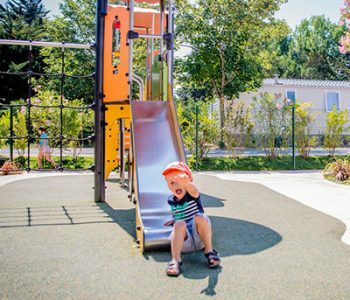 While you hone your crawl or your breaststroke, your young children can splash in the padding pools and play in the jets. 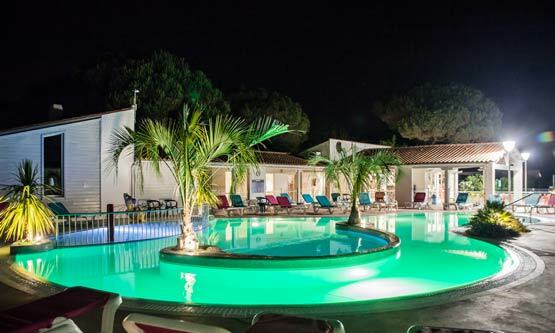 Twice per week, you can leave your mobile home or camping pitch on the Ile de Ré and enjoy the pool from 9 pm to 10 pm during the special evening opening of the pool. 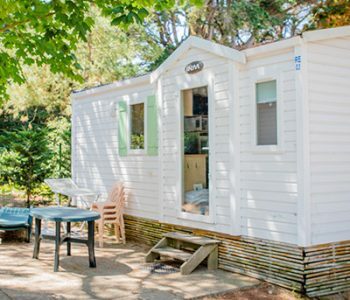 Children will fully enjoy and won’t forget about their holiday on camping Les Varennes on the Ile de Ré!